Farm labor leader and civil rights advocate Dolores Huerta first worked with César Chávez as a community organizer in Mexican American areas of southern California in the mid-1950s. Chávez dreamed of organizing farm workers, and in 1962 he started the National Farm Workers Association. He asked Huerta to work with them, and in the next three years they recruited a number of members. In 1965 the NFWA joined the AFL-CIO-affiliated Agricultural Workers' Committee in a strike against large grape growers in the San Joaquin Valley - a five-year strike that raised national awareness of the dismal treatment of the workers and led to the formation of the United Farm Workers union. Huerta's contributions to these efforts were invaluable in recruiting women for the cause, in keeping the union focused on nonviolent actions, and in gaining support in the eastern United States for the effective grape boycott that led to contracts for the union. Ten years after they started, they celebrated the passage of the Agricultural Labor Relations Act. They had made history. This is the first book to focus on Dolores Huerta. Throughout six decades of activism, she has made her own history and has been part of major events in the history of the country, standing alongside Robert Kennedy the night he was assassinated. Often called la Pasionaria, the passionate one, she continues to speak out on labor, environmental, antiwar, and women's issues. 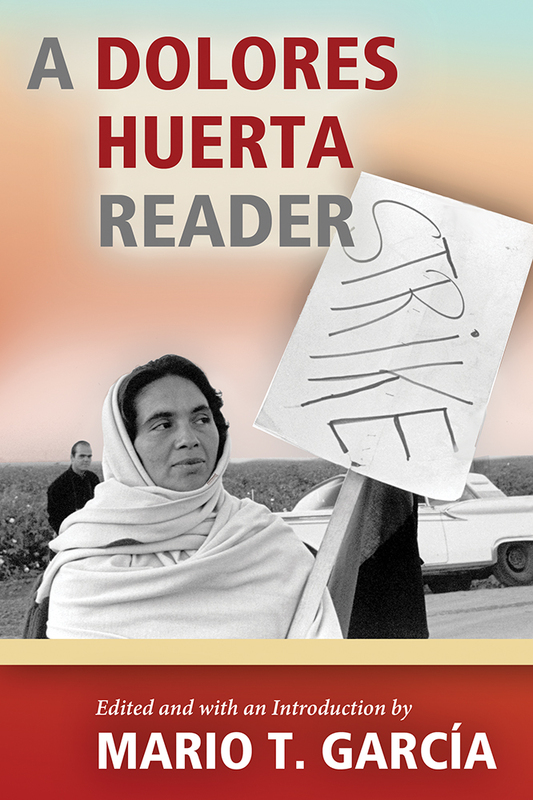 A Dolores Huerta Reader includes an informative biographical introduction, articles and book excerpts written about her, her own writing and speeches, and a recent interview with Mario García where she expresses her unbending dedication to social justice. Anyone who wants to know more about Dolores Huerta should start with this book. Mario T. García earned his Ph.D. in history at the University of California, San Diego. He is professor of Chicano studies and history at UC Santa Barbara.